THE LESSON I LEARNED FROM A “LITTLE TREE”! OBSERVATION: “This is the year of ‘little tree’!” That is what I said to my wife one short year ago. What was I talking about? It was about a tree in our front yard that we had planted 12 years prior. This little tree never really grew – it just simply survived. I was determined to see that tree finally reach its full potential. I carefully studied it, pruned every dead branch, aerated the soil, and carefully fertilized it around the outline of its crown. And, if you promise not to laugh – I even talked to it. 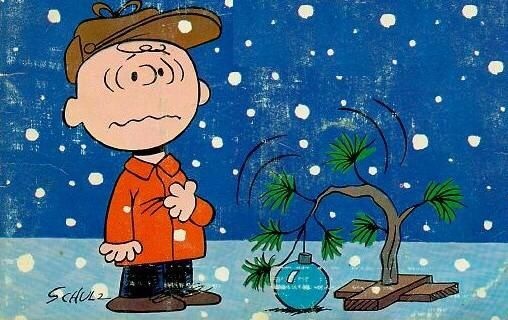 While others mocked, I proudly said – “I believe in you little tree!” I felt like Linus in the Charlie Brown Christmas special. There were signs of hope. It was surviving, and I surely thought I saw new growth. Then it happened. There was a series of storms with strong winds and hail. These storms beat upon our house, and the little tree. These storms were so strong, my roof was damaged to the point of having to be replaced. And what about the little tree? It was still in the ground, but it was leaning at almost a 45 degree angle. All of my efforts had not saved it. All the pruning, all the fertilizing, and all the hope – gone with one storm. What does this have to do with these two verses in John? As I read these verses I realized something very important. God is faithful to trim and prune the dead parts in our lives that are hindering our growth so that we can continue to grow in Christ. However, the pruning is only secondary to the most important thing. And what is that? It is being rooted and grounded in Jesus! If there is an insufficient root system, if we are not completely trusting in Him, we are merely surviving at best. If there is no root system, then we are merely an ornamental shrub that will never bear fruit! This was the problem with the little tree. It did not have any root structure. When the storm hit, it was instantly snapped at the root. In fact, when the landscape company came to remove it and plant a new tree, they hardly had to dig to get it out of the ground. They simply rocked it back and forth and it broke free. There was such an insignificant root structure that they did not even worry about removing the old roots before they planted the new tree. It was a sad day for my little tree – but it taught me a very valuable lesson! I will always think of this little tree fondly. It taught me the importance of being deeply rooted and grounded in the Lord Jesus Christ and His Word! It taught me the importance of establishing myself daily in the Word of God and in prayer. It taught me that outward appearances are not important, what is important is what is in my heart! Sadly, my little tree did not have the happy ending that Charlie Brown’s little tree did. However, my prayer is that the personal tree of my heart surely will! Lord, help me be deeply rooted and grounded in You! Let Your Words abide in me, and let me abide in in Your Word! Help me yield to Your correction and personal pruning of my life so that I can bear more fruit and glorify the Father. Let me grow in Your love, joy, peace, patience, kindness, goodness, faithfulness, gentleness, and self control. And help me always to remember the valuable lesson I learned from one – “little tree”!